Readers, have you been on a thrifty shopping trip lately? Checked out a car boot sale, a new thrift store? Perhaps you've made something out of a bed sheet, fixed a button, or just shopped your own wardrobe for a thrifty outfit? You can share with this fortnight's Recycled Fashion Finds. As you already know, I've been sewing a maxi skirt from a thrifted piece of knit fabric. In other news, what a difference a frame makes? 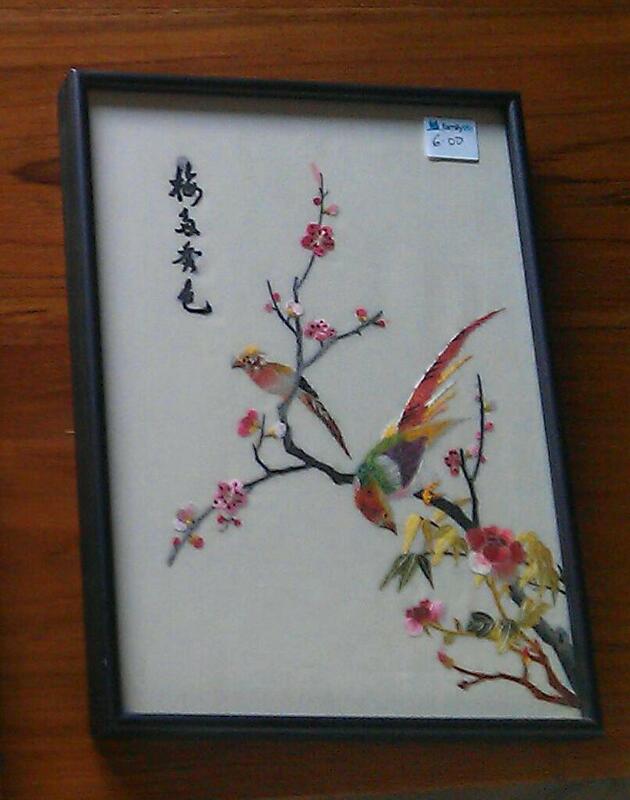 I found this cute bird embroidery for $6 from the Op Shop which I loved, but was not fond of its black frame. So using another thrifted wooden frame purchased from Salvos in St Kilda, I re-framed the bird picture. Last Recycled Fashion Finds links through to some great outfits and recycled ideas, including Gina's sew upholstery swatch coasters, Sarah's pillowcase romper, Ruby Murray's hand-me-down sweater turned clutch, Mezzy's zipper necklace and more. Love that maxi, I plan to make one or more too : > Thanks for hosting, Erica! My op shop haul inspired me to blow the cobwebs off my blog ! 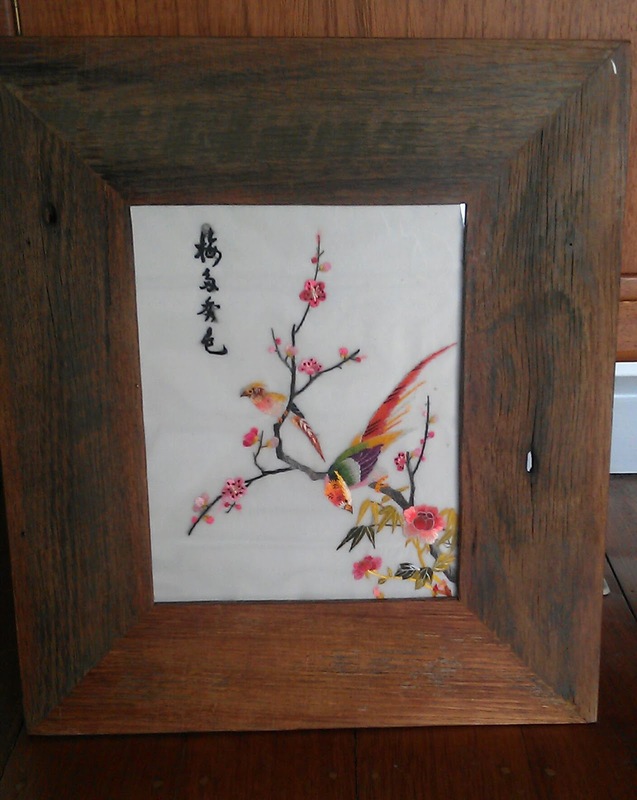 I love that artwork in a new frame. I don't often look at the frames/art when I'm thrifting, but I think I might start from now on.